Yep, I'm short. I'm a whopping 5'2" (formerly 5'3" but apparently I'm shrinking in my old age) with a 28.5" inseam. However, I am blessed to have a slightly higher inseam than my counterparts, I know. But I've still had to struggle with height issues but learned very early on that it's not about how tall you are, but HOW WELL you ride. I just want you to know that you shouldn't be limited to a motorcycle that matches your inseam. I've never flat footed both feet on a motorcycle except on a Honda Rebel 250 and a 50cc dirtbike. But I didn't let that stop me from riding what I wanted to ride and you can too! Keep riding, learning and growing from your motorcycle(s). Start out Small (displacement). You may just need some time and practice on a smaller, lighter bike until you gain enough riding experience to manage these weights, heights and dimensions. Tall and Light beats Low and Heavy. IF you have aspirations to ride taller, heavier bikes in the future, I recommend starting on something lighter and taller, because you will force yourself to get used to something that you Cannot flat foot. Good examples are Suzuki DR200, Yamaha TW200. Start training yourself to stop on left foot first. It's a dangerous tightrope when you're used to flat footing everything, because making the jump from something you can only get the balls of your feet down on may kill your confidence. Braking. Practice perfecting your braking skills! The better you brake, the easier it'll be to handle the 400lbs+beneath you. Get used to just using your left foot and keep that right foot on the rear brake. I know that you may not need your rear brake to stop since many motorcycles have incredible stopping power from the front. However, to really finesse and smooth your braking you may need to practice adding rear brake to the stops just to maintain stability. When you have a big that's taller and heavier, you have to compensate with technique since you don't have the extra height. Boots. And don't forget to invest in excellent riding boots to help give you an edge. Having Extra Traction is SO important, especially when you're shorter and you can't flat foot with both feet. I never could've upgraded to larger bikes without investing in great boots. The feeling you get when you put your feet down can make or break your perception of what you think you can do! And riding motorcycles is all about faking it, so to speak. I really think that you have to make yourself think you can do it so that you will. Patience & Practice. If you don't take the time to practice riding, every day (when weather permits) and practice your skillset, you'll never progress when it comes to techniques and riding taller bigger bikes. Riding is more than just keeping it upright. Parking. I almost always hop off my bike to park it. Why not? Who says you HAVE to back it up and park while seated? Strategic parking is another way to make sure you will be able to easily leave any spot without needing anyone's help! 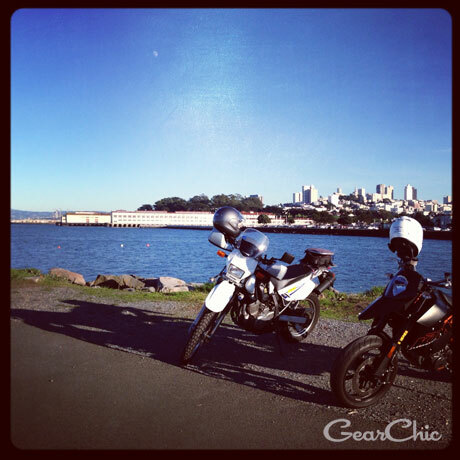 Check out this blog post with a couple tips for parking your bike. Don't Lower Your Bike, Increase Your Height. With these lifted insoles. Add 1-2 inches in the heel, so when you put your foot down, most of it will be touching the ground. And if you ride sportbikes like me, then the front of your boot won't be too thick to place under the shift pedal. Way less expensive and you won't lose ground clearance like you do when you lower your suspension. The insoles I linked also have multiple heels so you can experiment with how much height you really need. They also make heel only versions of these insoles as well. Keep in mind, these probably won't give you two flat feet! I use them to give me one flat left or on smaller bikes, two balls of your feet on the ground. Remember, get used to using only ONE flat left as much as possible and use your right foot to stabilize with rear brake (don't stomp, be progressive with pressure to come to a SMOOTH stop every time). If you find yourself throwing both feet out at a stop it's because you aren't stabilizing the bike's weight, or you might be braking too hard with the front. The rear is smushier so easier to add for stability. Use it! It's always my best friend for bigger, heavier bikes that I've ridden. As far as lowering your bikes, if you keep limiting yourself to the lowest possible bikes, how will you ever move up to something larger or different? If your goal is to move up and try different styles of riding, you need to know how to manage taller bikes and the weight that comes along with it. Lowering may not be an option for every motorcycle you come across. Riding isn't easy, and learning to ride may not be either. Everyone wants the easiest, quickest, fastest way to learn to ride. Why the rush? You have plenty of time to figure out what to ride, how to ride and where to ride. Take some time for yourself, figure out what you want to accomplish. Set small goals and reach them. Take a look at this pic of me riding a twisty at the Dragon. There's no way I'd be able to lean over (and not that far, I might add) if I had lower my bike a couple inches to get flat feet. I'd easily be bottoming out and the minute I made contact with the pavement it would've been all over for me. So don't give up, don't give in to the peer pressure and buy a bike that makes sense for YOU, NOW. Not in a year, not in 10 years but right freaking now so you can learn to ride and figure out how to really ride it. Ground clearance! Never give it up! And as you can see, only a couple of bikes were lowered versions or had low seats. Everything else was stock. At Femmoto in 2006. It' was super comfy, but that was my first introduction to twins and I wasn't used to the lower power band. Now I'll never go back to a sub 1000 4cyl. 2. Late 90s Yamaha Seca II 600. We had this bike from 2004-2008. He was forced to buy this after I stole the Ninja from him in 2004. A 600cc 4cyl it was easy to ride. Fairly lightweight (under 500lb) and comfy riding position too. I only rode it a few times while we had it since I still had the ninja. I even picked it up once when she tipped over in the parking lot (stupid broken sidestand). We had this bike from 2006?-2010. I really liked this bike. A twin, it was super heavy (over 500lbs) but sooo much fun. Lots of torque power and comfy riding position. It was also fairly low (~30"). It was awesome until my husband put flat bars on it and then I had a hard time reaching them. Then he put a Corbin seat on it and I could barely touch the ground. Heh. Good thing too because I probably would've stole that one from him too! Back in 2009/2010 I test rode a Street Triple R and knew that I wanted one. But for awhile, it was simply too expensive for me to buy one. In March of 2015 I finally made my dream come true! Nope, she isn't lowered or altered in any way. 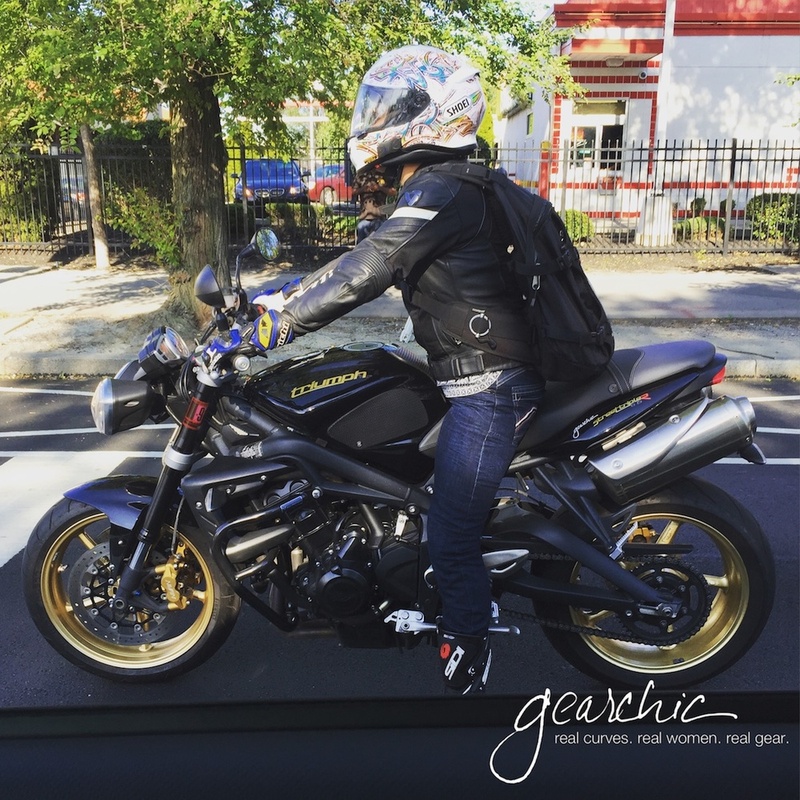 I'm very used to riding my husband's Speed Triple and this is a lighter, skinnier, 30% lower powered version of it. I absolutely love it. The one I'm riding in the two pictures below are actually my second one. My first one had a terrible accident in June, but luckily I was able to find a direct replacement. I rode a friend's superduke in a parking lot while teaching an MSF class last summer. Damn! Ridiculous fun. Fooking ridiculous power. It wants to wheelie without you! I'd probably get into a lot of trouble on this thing. Loved the ergonomics though, super light, short reach and mostly upright. The supermoto style riding position guarantees endless amounts of FUNNNNN. And speeding tickets. 6/ 2000 Triumph Sprint RS. Rented this in Vegas in the summer of 2008. Had a blast riding through red rock canyon. It was fun, but I didn't fall in love with it enough to buy one. Fell in love with twins after riding this one, though. As soon as I got back I decided to start looking for a new bike. Not terribly top heavy. I felt like the weight was distributed really low and well. And about a half inch lower than my SV. ha! Really easy to ride and of course, mostly on the balls of my feet. If I were to trade up to a dual sport, I would definitely consider the Tiger my #1 or #2 choice. 9/ 2013 Kawasaki Ninja 1000. 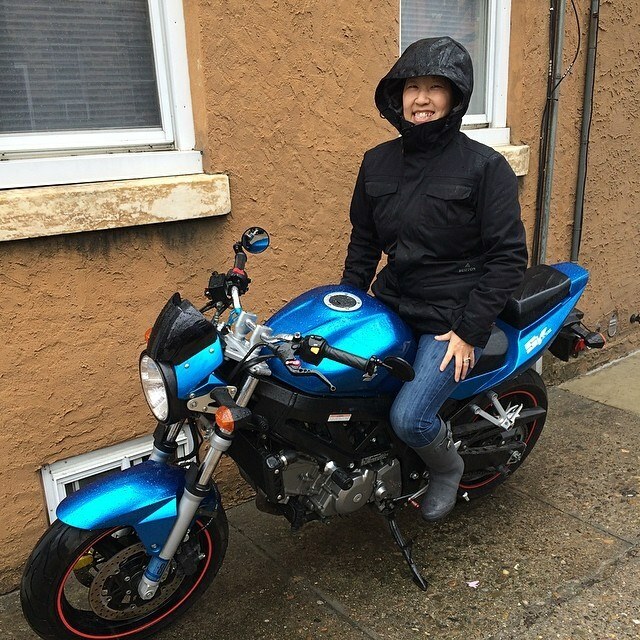 I was so looking forward to riding this after I tried the Z1000 last winter. It was definitely a huge difference in terms of suspension and handling (most notably in corners at higher speed). I really enjoyed how it rode in tight twisties and open sweepers and everything in between. I just didn't like the 4cyl engine. Super comfortable ergonomics too. Mostly upright, I could see myself riding across country on this one. 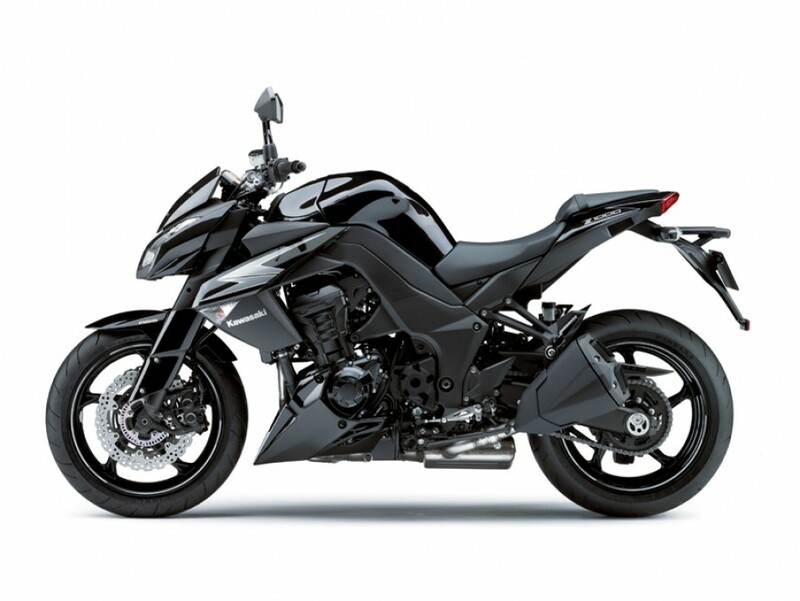 The z1000 looks the Ninja 1000 but it's not nearly as stable, smooth and confident in corners. I highly recommend the Ninja 1000 if you want a fairly upright, naked bike that will carry you in and out of corners with smooth, stable suspension. I think it would also make a killer touring bike. I test rode this recently and it was really fun, easy to ride and low. BMW offers a factory lowered version that makes it super comfortable as well. 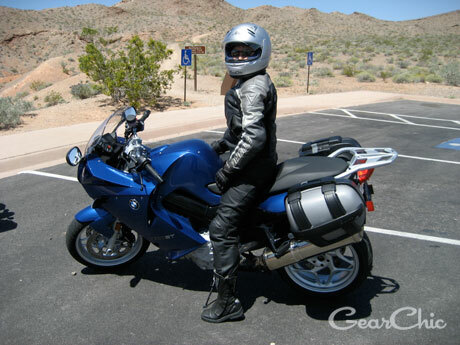 Actually, BMW offers a lot of factory lowered options for those of us looking for shorter bikes. It was also lightweight and nimble in traffic and of course, a very comfortable seating position. Would definitely be #2 in my Dual sport list. Thanks Cheryl and Leslie for the pic! This one is an SM but it's just as high and mighty as the SMR. If you've never ridden a supermoto, or you have no idea what it is, you're missing out on one of the MOST fun motorcycles you'll ever ride. It's powerful, thumps like crazy (single cylinder) but is ridiculously FUN. Did I say the word fun? Ok, maybe a few times. It's one of the few motorcycles I've ridden that made me feel like a little kid again. I don't know if it's the riding position or what, but you feel on top of the world and as if you could ride anything/anywhere. It also helps that's it's pretty damn punchy off the throttle. This isn't a good first bike, but definitely something to consider if you're looking for a powerful mid range sportbike that'll outrun a lot of large liter bikes given the chance. She's light, nimble and did I mention a speeding ticket magnet because of it? (not that I got one riding it, but if I had one, I'd probably have the highest insurance rates) It's a good thing it's lightweight because she's super tall. Oh KTM, how you elude me. I discovered the joy of riding KTMs until this past year. The all new 690 is coming to us in March and I had the opportunity to ride one before then! It was beautiful, fun, exciting and a million other things. Torquey has hell and lots of low end power off the line. Definitely Tall! Tip toes on both feet and one flat left. But KTM does something really really well, which makes their bikes really stand out. They have a way of balancing their bikes so that it feels 100lbs lighter than it really is. With the solid braking power and unbelievable throttle response, it really makes the 690 a dream to ride. I wish I had more time to spend on it than just riding to lunch one afternoon. Fingers crossed I'll have some more time with her this summer. S=ay tuned! I don't mind riding taller bikes like these, but I definitely wish I had a little more height on my side. I'm sure if I were wearing my Daytonas, that would've helped but only a little bit. I've never ridden a standard or classic bike like this before. It was SO much fun. And really easy to handle. Seat height is ~31" but with a single cylinder (500cc) beneath me, it was a skinny bike to ride and the weight didn't bother me at all. Weighing in at ~420lbs wet, I loved the feel of the single cylinder engine (thump thump!) and the low but loud rumble of the long exhaust. Totally upright, this would make a really really great bike around town and on weekend rides up and down the coast! The Empulse R is an incredible electric race machine. Too much torque, incredibly nimble and a bike that makes you feel like a little kid everytime you throw a leg over. The range certainly isn't comparable to your average sportbike but it's close (120mph; 80% city, 20% highway). Really comfortable upright riding position and plenty of power on the highway. If I had a boatload of money lying around, an Empulse would be at the top of my list. Whoops, how can I forget about my baby? After all the other bikes I've ridden, this one is still The One for me. Everytime I take her for a ride, I fall in love with it and remember how much I love it. Light, low center of gravity, flickable and incredibly versatile. I've yet to ride a bike that makes me feel that way. I'd say the next closest bike would be #17, but for a different purpose :) I had to sell her before leaving for Philly but see #19. The DR650 is a fantastic dual sport bike, lightweight and easy to ride. My friend has the factory lowered version and it's so much fun. I could see myself tearing up the dirt on this one. One of the main reasons I can't give up my SV is because of how light and skinny she is. The DR is just that. Perfectly balanced for me. The one thing that would push this bike to #1 for me is if I could swap a SV650 engine in it! Yowza. 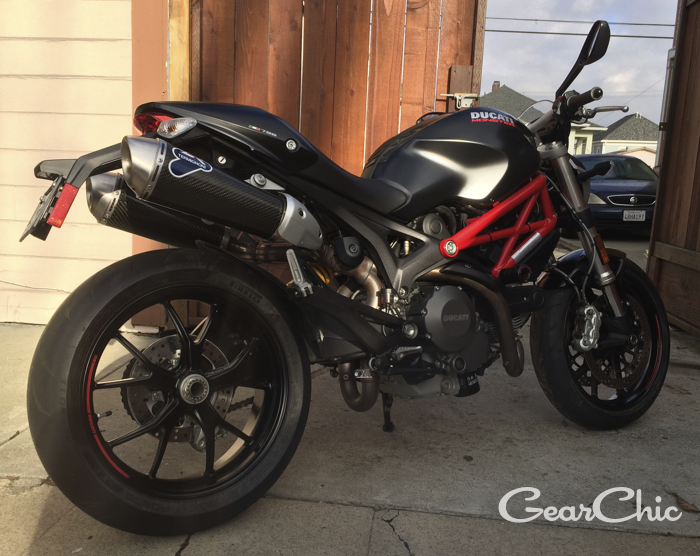 The Shiver is a killer competitor to the Ducati Monster. Engine mapping (3 ride modes), 95 HP, what more could a girl ask for? Well, a smaller tank (it's really wide, fat and long) would be great. Most of the time I find the seat height to be manageable, it's bikes like these that have ridiculously high centers of gravity (even though it's a twin) that make it so not fun for me. I can only one foot this one, but if she had a smaller tank I could be persuaded. 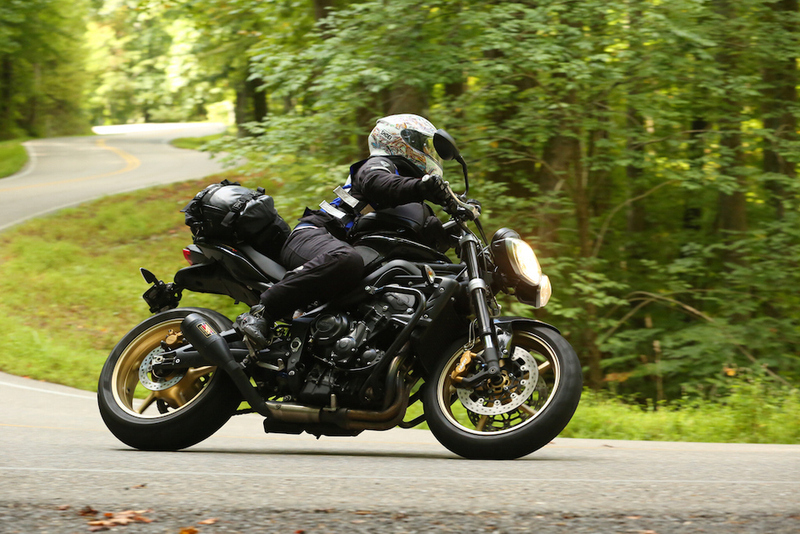 The upright riding position makes it a really great naked, comfortable sportbike. I had no choice but to pick up another one, especially when I found the non S version, with it's higher bars. That was the one thing I really hated about my last one. The '06 has some minor differences but overall it's basically a nicer version of what I had before. I hadn't notice any difference in seat height from the '03, just as tall, still only 1 flat foot, definitely not shorter. My husband finally bought his dream bike (supposedly he won't ever buy another bike, we'll see), and it's definitely one of the nicest bikes I've ever ridden. With a stock 32" seat height, it's fully adjusted for his height and weight (5'11", 210lbs). This was definitely a bit taller than I expected so I threw on the Daytonas. I definitely could've ridden in my Sidis, but it certainly made putting a flat left foot down a bit easier. As you can see I'm still on my toes! Check out this overnight ride I did on it up to Port Jervis. A monster of a bike in terms of seat height, 35"! What was I thinking? Oh yeah, I need to go riding and this sounds FUN. So I took this beautiful lady for a spin in September 2014, on a ~150 mile day ride up to Bodega Bay. I was visiting my family in the Bay Area for Christmas and my amazing friend let me borrow her for the afternoon. I wasn't sure what to expect but I can tell you that it's at least an inch shorter than my SV and had the same riding position. This one had a stock suspension with nothing altered in terms of suspension or height. It felt so little compared to what I'm used to! A full ride report will be linked here soon. A couple weeks ago I needed to pick up my sort of new again Triumph, after my little accident. I was going to take a taxi from work to the dealer and then ride home. Unfortunately I forgot to bring my beloved vanity plate, so my boss generously offered his Versys so I could get home right quick and pick it up. So I swung a leg over and realized that only my left foot would be touching the ground. Not much different from riding our Triumphs except that my right toe was nowhere near the ground. Whoops! He's about 6' tall with a generous 33-34" inseam so it fits him perfectly. But not my weird, short frame. My only hurdle was the fact that the left footpeg was right in the way when I would put my foot down to stop, since my leg was so short. So as I would come to a stop, my foot would hit the footpeg and then I'd have to hurry up and put it down around it. Very awkward and hard to explain really. Let's just say it was a b*tch to do this. Parking it was definitely all about getting off the bike as well, no backing up to park. No problem! I did learn one very important lesson however. I don't want a Versys anytime soon. :P Thanks Brian! Borrowed this bike for the Sisters' Centennial Motorcycle Ride in July 2016 from Carson City NV to San Francisco CA. What a ride! Unlowered, stock seat. SUCH a great bike. The suspension was not too soft, not too stiff and the ergonomics were fantastic. It felt like a more comfortable (slightly more upright), powerful version of my Triumph. Look for my ride review soon.